I challenge her to find one – just ONE – “immigrant” that Sessions or anyone else has deported. I never watch this, but I truly wonder how even liberals can’t get sick of this Johnny One Note stupidity of everything is about race. He must have been smart enough to put all those vids on BitChute, right? Total purge…YouTube has ripped off its mask…the false flags have been exposed and will continue to be exposed…how does twitter and Instagram post so much video??? With all the stuff coming out about hoggs and kaskys this is getting really weird. Backs up all fhe research we all found on the 14th. Do believe connection between Vegas & Florida. the rags can’t help harkening back to the Al Smith dinner, Candidate Trump being booed for his Truth Bombs. 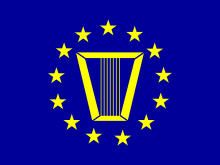 SES was created with the Civil Service Reform Act of 1978. It’s been used and abused by administrations of all stripes. I remember posting in CTH shortly after the election that it is the SES and other senior career civil servants (GS-15’s) who could reek havoc on an incoming administration. The President could have replaced many of these individuals. But because he’s was an outsider, he didn’t have the necessary pool of candidates at the ready. Judge Jeanine just posted a video she made at CPAC, interviewing Trump supporters. The business model of infowars and natural News and other websites was based on a partnership with YouTube…the control was always with Youtube’s and corporate media…Now, the question is will the technology allow for a competitor…best thing for Congress is to get out of the way!!! A few photos of the Gridiron Dinner are showing up on twitter. The Very Talented Journalist Maria Bartiromo Will Be Attending The Gridiron Dinner Tonight. At #gridirondinner @POTUS jokes that @FLOTUS is getting benefits from #TaxReform. "She can finally claim me as an adult dependent." At #gridirondinner, @POTUS jokes he offered @jeffsessions a ride over tonight "and he recused himself!" "And it’s been a very tough year for CNN. They’ve lost a tremendous amount of credibility this year. And your best reporter, Steve Bannon. That guy leaked more than the Titanic. Boy did he leak." Class action against YouTube, Twitter, et. al. ? From what I can figure it is about time….If you post facts you get suspended. Since All Illegals have broken laws by crossing the border illegally. overstaying visas, working here illegally and/or collecting governmental benefits doesn’t that make them all criminals? That is apparently what got me suspended from Tweeter. I have always believed Mueller is working for the white hats and is investigating hillary also. Here is an indication: Trump has stated publicly on several instances that Mueller is on a “witch hunt” and the witch is hillary! Sadly, I believe this is wishful thinking. Mueller is desperate to try to charge President Trump or one of his family members with something, anything, to try to justify his appointment and overzealous witch hunt (which it IS). The best he may get is obstruction of justice by firing Comey, an act which is unqualifiedly and conceded by all to be an act well within the legal purview of Comey’s boss, the chief executive, President Trump. Mueller’s second purpose is to try to muddy the waters of any potential future prosecution of the REAL culprits, Obozo, HRC, Huma, McCabe, Ohr, Strzok, Page, Powers, Rice, Jarrett, Holder, Lynch, Clapper, Brennan, Comey, Priestep, Podestas (yes, plural). If he hasn’t “disappeared” evidence then he will at least ensure that it is muddied and unusable in court. Looking like they just starting. Using the Hogg and his group as excuse to ban our voice. Supposedly if we contradict the group we are bullying childrent. 1. (If Jones is correct), there are 10 million Chinese military personnel at Apple-Beijing HQ charged with shutting down ‘offensive’ youtube content around the world. 2. Chinese President Xi now dictator-for-life. Today China, tomorrow the world. Can you dare imagine where we’d be on this timeline after one year of President Hillary? Pray for Trump. Pray hard. Seeing lots of Conservative people are talking about blocks or not being able to retweet other tweets. I never liked Pieczenik. He’s a know-it-all and a Zelig who was instrumental in all major government programs of the last 40 years. Here he is taking the Chamber of Commerce book on tariffs.